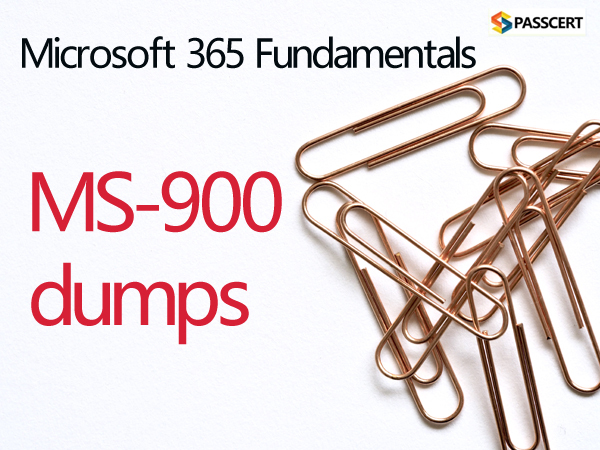 If you need help in MS-900 Microsoft 365 Fundamentals Exam, Passcert provides you valid Microsoft MS-900 exam dumps to best help you for your preparation, if you practice well, we ensure you can pass your MS-900 exam successfully. MS-900 exam is designed for candidates looking to demonstrate foundational knowledge on the considerations and benefits of adopting cloud services in general and the Software as a Service (SaaS) cloud model. This exam will also cover knowledge of available options and benefits gained by implementing Microsoft 365 cloud service offerings. This exam can be taken as a precursor to cloud computing and technologies exams such as Office 365, Microsoft Intune, Azure Information Protection (AIP), and Windows 10. 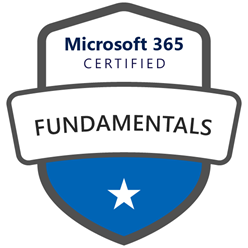 To get Microsoft 365 Certified Fundamentals Certification,prove that you understand the options available in Microsoft 365 and the benefits of adopting cloud services, the Software as a Service (SaaS) cloud model, and implementing Microsoft 365 cloud service. 1.A company plans to migrate to Microsoft 365. You need to advise the company about how Microsoft provides protection in a multitenancy environment. What are three ways that Microsoft provides protection? Each correct answer presents part of the solution. A. Customer content at rest is encrypted on the server by using BitLocter. B. Microsoft Azure AD provides authorization and role based access control at the tenant layer. C. Customer content at rest is encrypted on the server by using transport layer security (TLS). D. Microsoft Azure AD provides authorization and role based access control at the transport layer. E. Mailbox databases in Microsoft Exchange Online contain only mailboxes from a single tenant. F. Mailbox databases in Microsoft Exchange Online contain mailboxes from multiple tenants. 2.You are the Microsoft 365 administrator for a company. Your company plans to open a new office in the United Kingdom. You need to provide penetration test and security assessment reports (or the new office. Where can you locate the required reports? A. Data Governance page of the Security and Compliance portal. 3.Your organization plans to deploy Microsoft 365 in a hybrid scenario. You need to ensure that employees can use a smart card for authentication. Which hybrid identity solution should you implement? 4.You are the Microsoft 365 administrator for a company. An employee requests personal data under General Data Protection Regulation (GDPR) guidelines. You need to retrieve data for the employee. A. Create a data subject request case. B. Create a retention policy. C. Create a data-loss prevention policy. 5.A company is a Microsoft 365 reseller. The company does not provide managed services or direct customer support. You need to provide licenses for customers and earn commissions for each license sold. B. Sign up as a Cloud Solution Provider direct reseller. C. Sign up as a Cloud Solution Provider indirect reseller. D. Buy licenses for customers from a Microsoft authorized distributor.